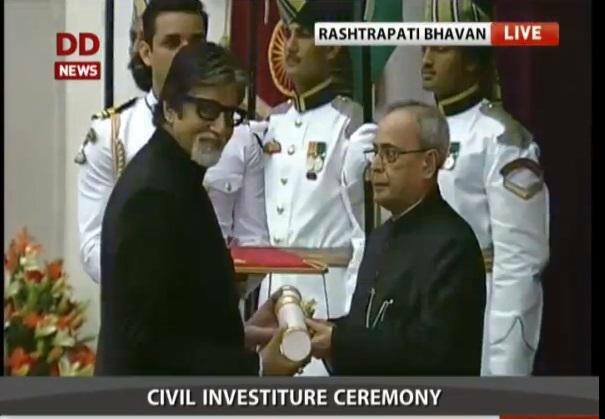 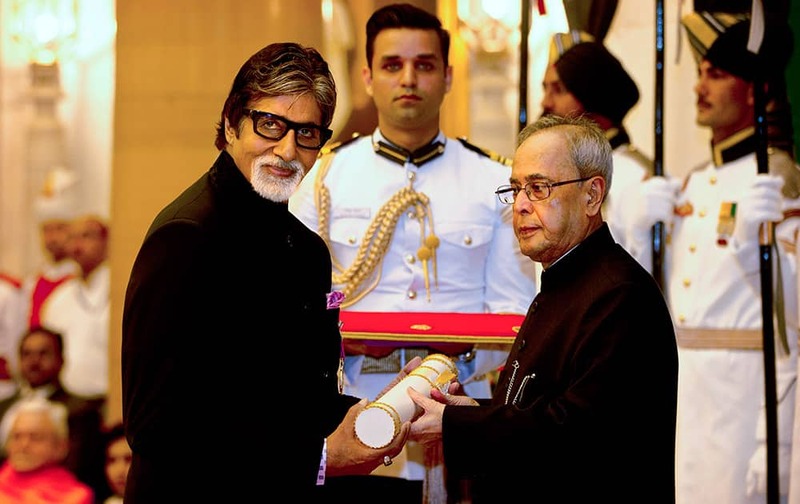 President Pranab Mukherjee confers the Padma Vibhushan to Bollywood superstar Amitabh Bachchan, during a civil investiture ceremony at the presidential palace in New Delhi. 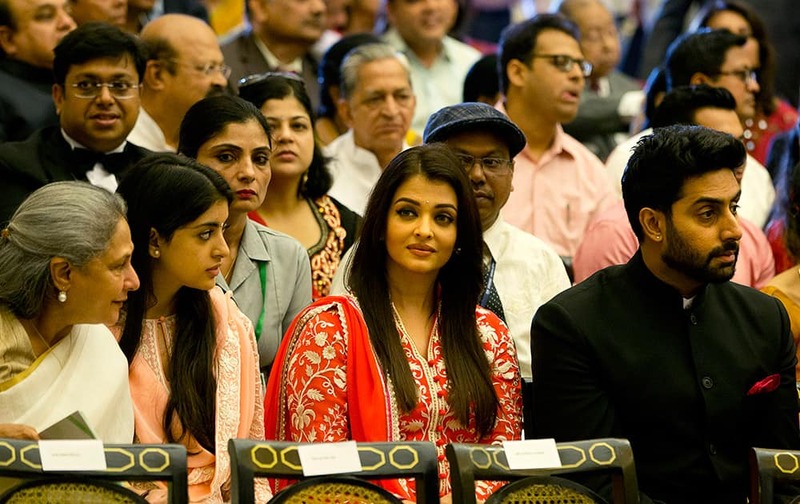 Jaya Bachchan, daughter Shweta Nanda, daughter-in-law Aishwarya Rai Bachchan and son Abhishek Bachchan attend a civil investiture ceremony where Amitabh Bachchan received the Padma Vibhushan at the presidential palace in New Delhi. 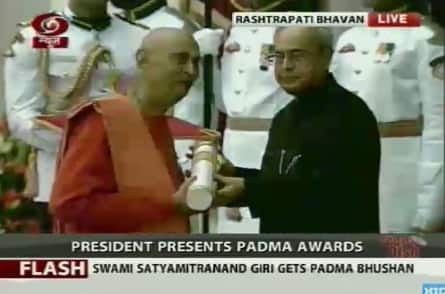 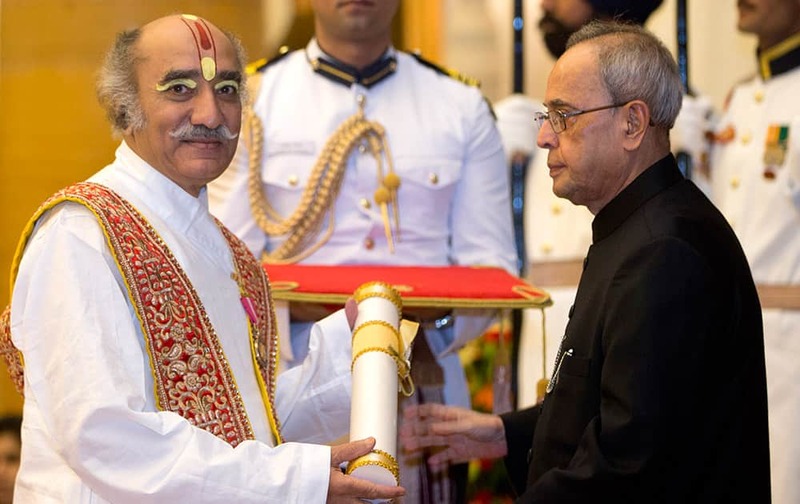 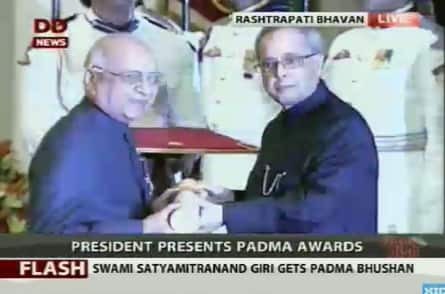 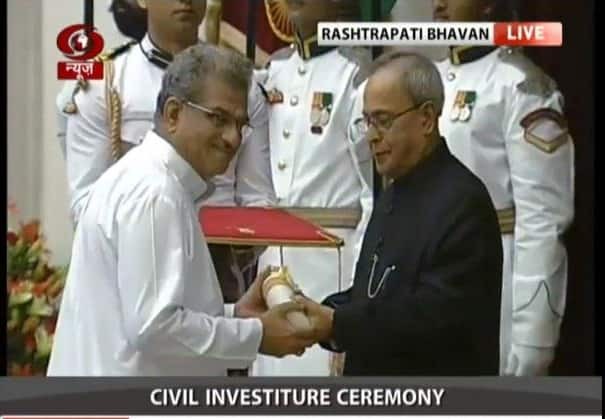 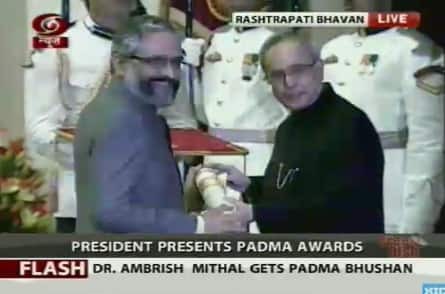 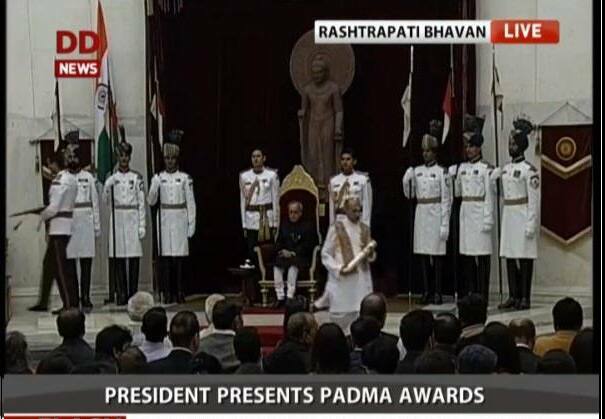 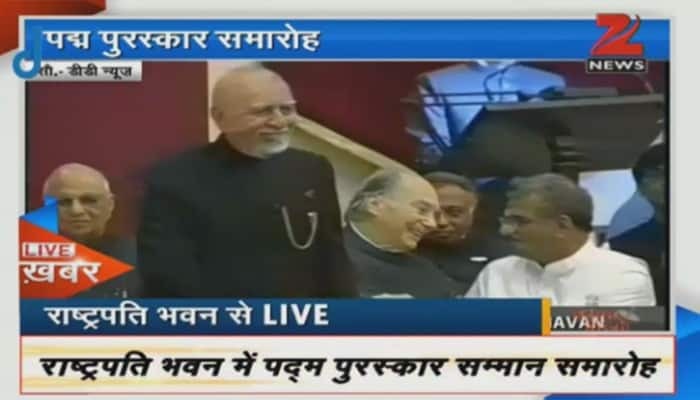 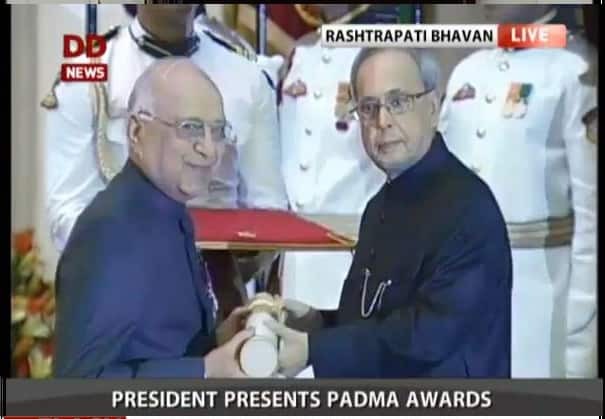 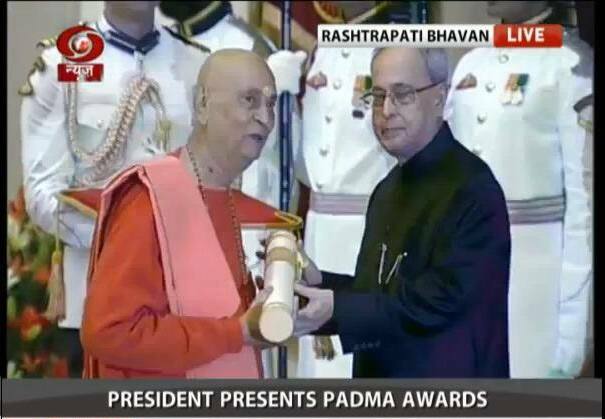 President Pranab Mukherjee, confers the Padma Bhushan to Indian classical vocalist Pandit Gokulotsavji Maharaj during a civil investiture ceremony at the presidential palace, in New Delhi. 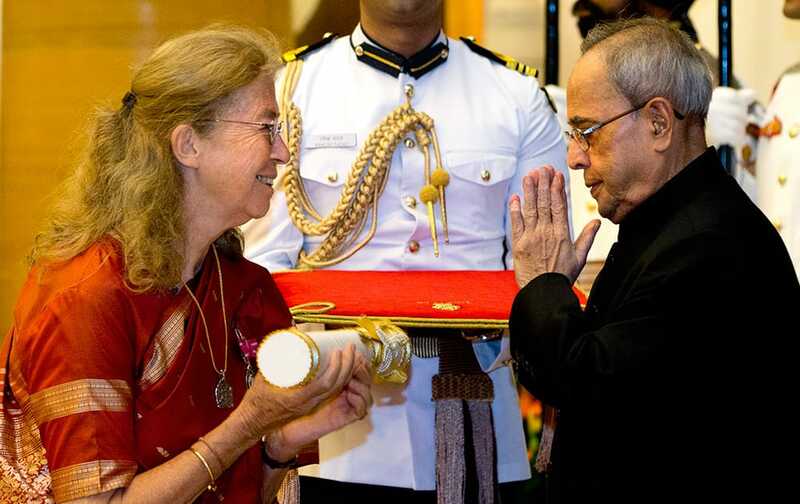 President Pranab Mukherjee, confers the Padma Shri to Austria born Indology scholar Bettina Sharada Baumer during a civil investiture ceremony at the presidential palace, in New Delhi. 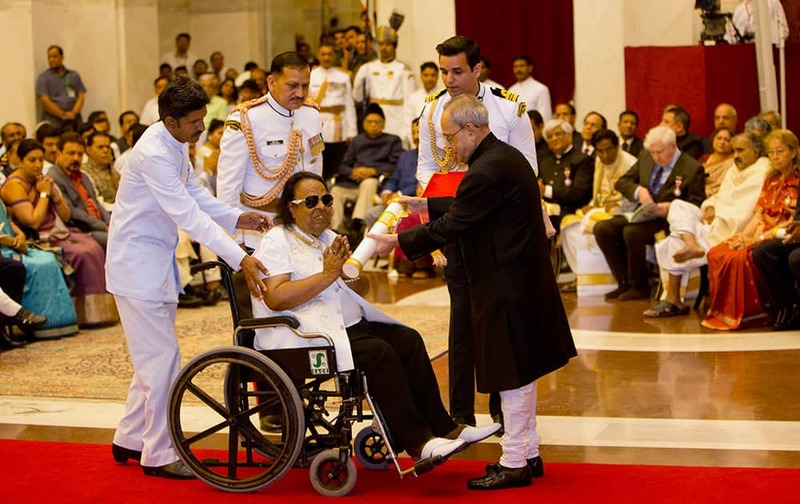 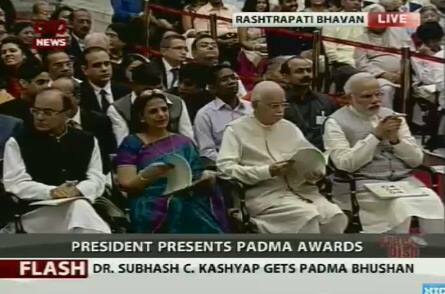 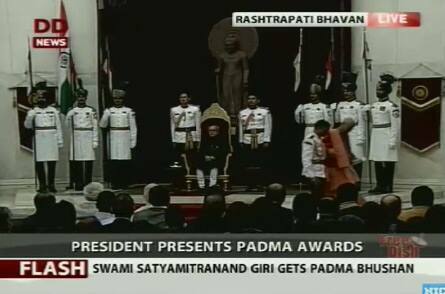 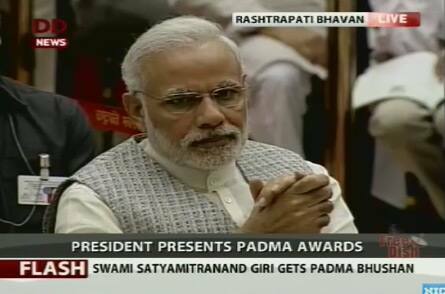 President Pranab Mukherjee confers the Padma Shri to musician Ravindra Jain during a civil investiture ceremony at the presidential palace in New Delhi. 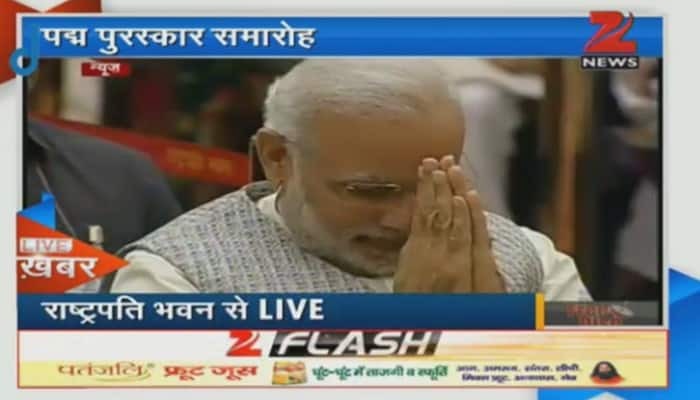 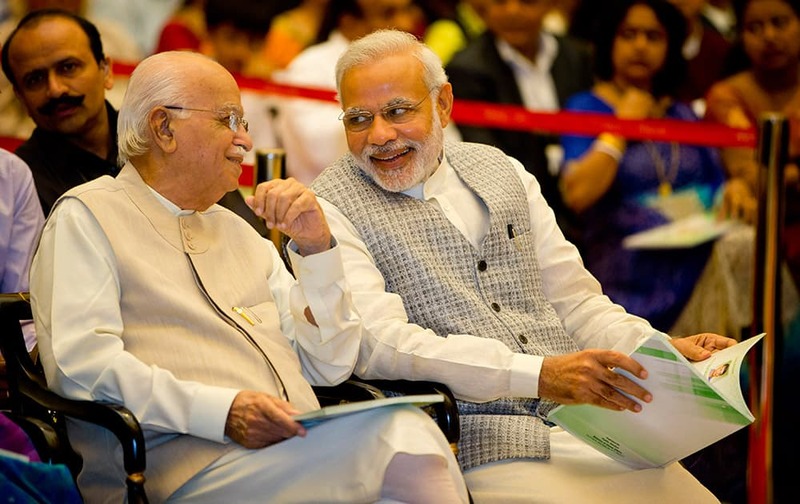 Prime Minister Narendra Modi, speaks with Bharatiya Janata Party senior leader L.K.Advani during a civil investiture ceremony at the presidential palace in New Delhi. 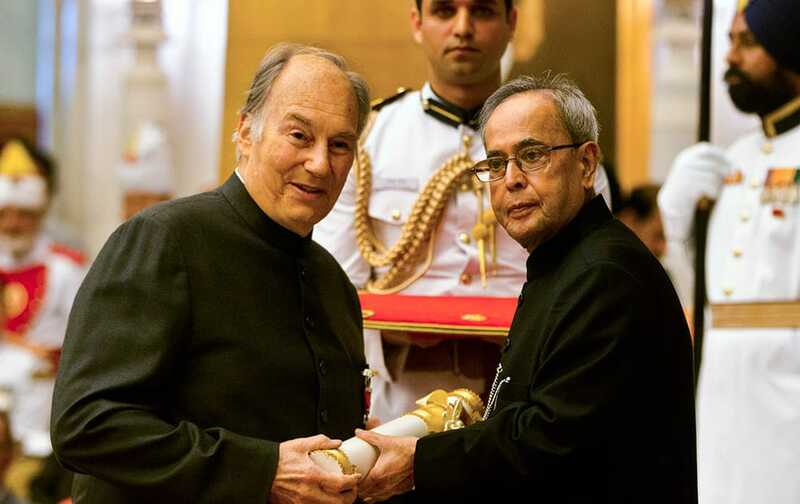 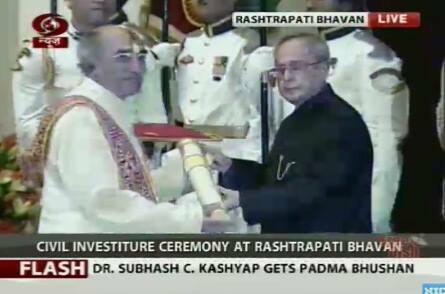 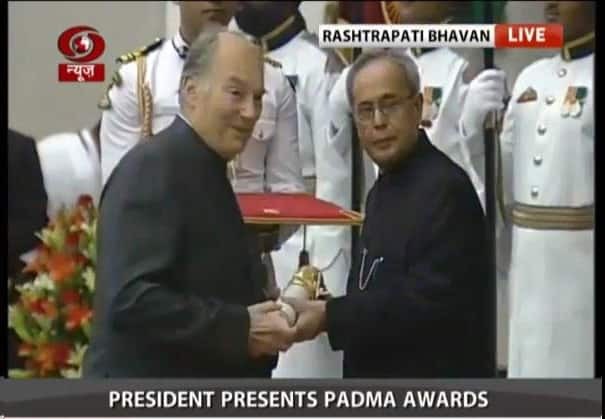 President Pranab Mukherjee confers the Padma Vibhushan to the Aga Khan, spiritual head of Ismaili Muslims, left, during a civil investiture ceremony at the presidential palace in New Delhi.